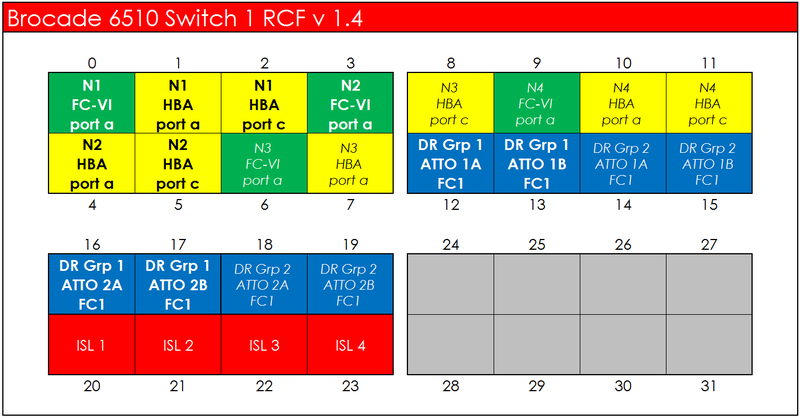 The previous post covered RCF v9.1. This post illustrates the old RCF v1.4 port layout. The following logical diagrams show the layout of ports. These are taken from the Golden Template Configuration files.